Warren Motor Inn is a locally Owned and Operated Motel. 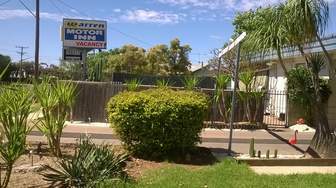 Providing accommodation for visitors staying and travelling through Warren NSW. We are also Officially Star Rated for your piece of mind. CLOSE TO SERVICES CLUB, GOLF CLUB & WARREN RACECOURSE"
Located only 300 meters (2 minutes walk) to Warren CBD, Clubs, Hotels, Supermarkets, a Newsagent, and many more shops and cafes to browse. Just a short distance (1 minute drive) to Ravenswood for Tiger Bay Wetlands, Window on the Wetlands Centre (WOW), Warren Sporting & Cultural Centre and Warren Multi Purpose Centre (Hospital). Keeping our customers in mind while we continue to upgrade and renovate our motel and motel rooms, most work is being done during the day between 10am-2pm. So if you are visiting Warren for business or pleasure let us accommodate you at Warren Motor Inn. We look forward to your booking.